Version 1.1 is out! 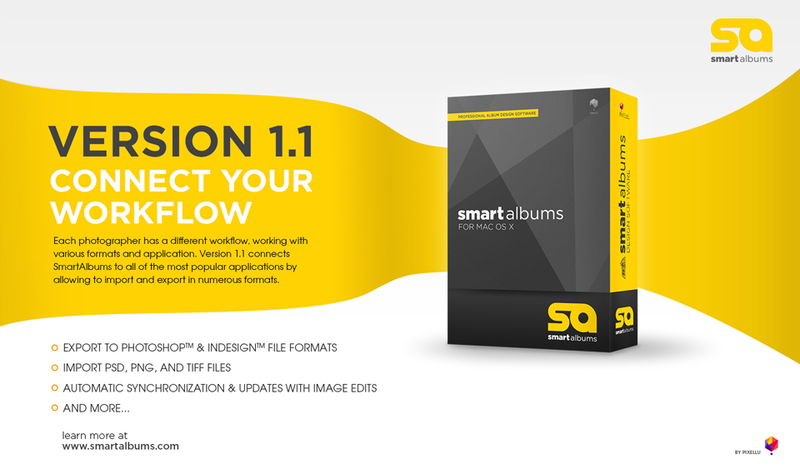 By providing numerous new export and import options, this update allows photographers to integrate SmartAlbums into their workflow even better. Here at Pixellu we understand that photographers use different software for different purposes, and no one piece of software is intended to do everything. We know that what SmartAlbums is best at is building albums ridiculously easy and extremely fast, but it is not a great tool for customizing designs. So instead of trying to be all things to all people, and thus diluting our strengths, we decided to connect to the most powerful customization software on earth - Adobe Photoshop and InDesign. 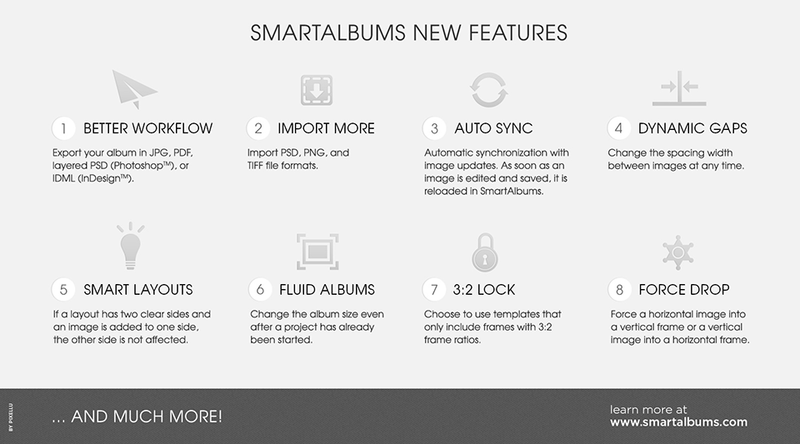 To learn more about all the new features in SmartAlbums 1.1, visit our video tutorial page.